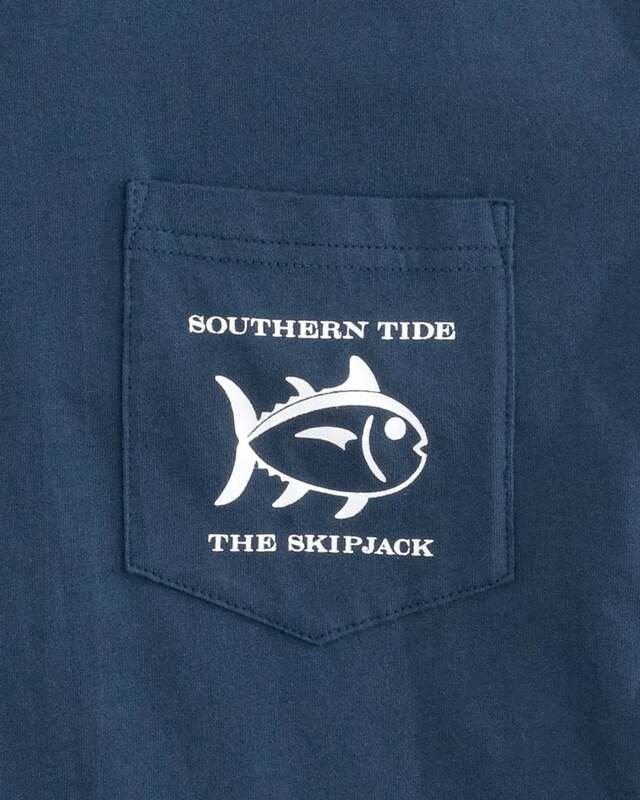 Running to class, walking the dog or getting the boat ready for the weekend? 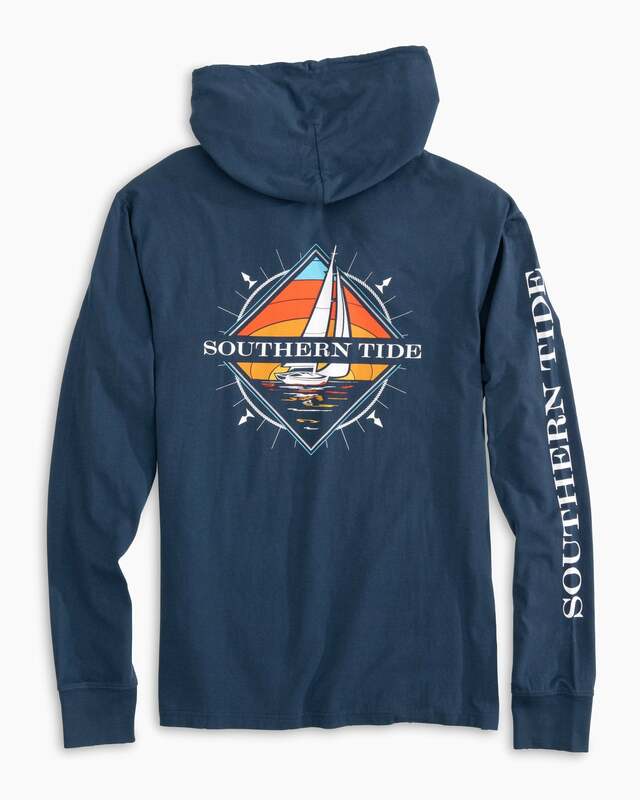 Pull on our hoodie t-shirt featuring a bright Southern Tide sailboat design on the back. 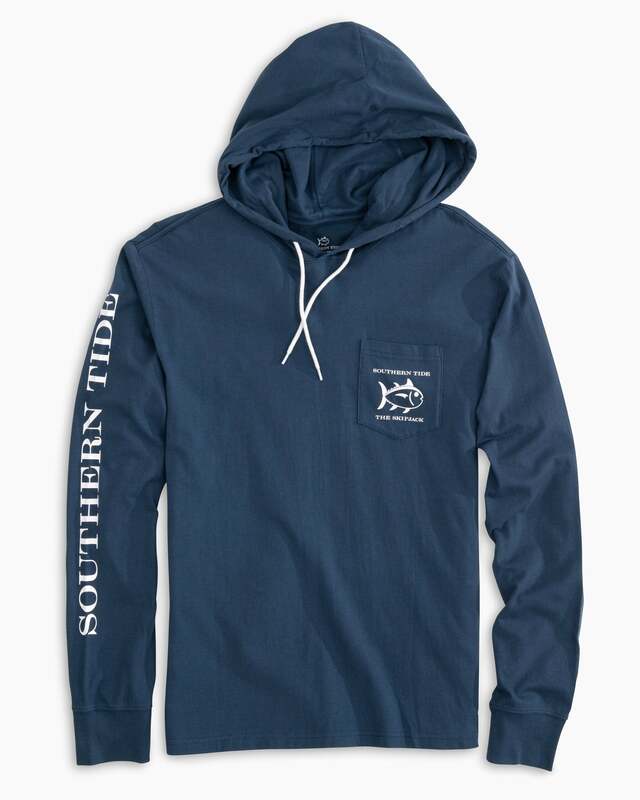 It’s just right when you need a light layer without the bulk of a jacket.